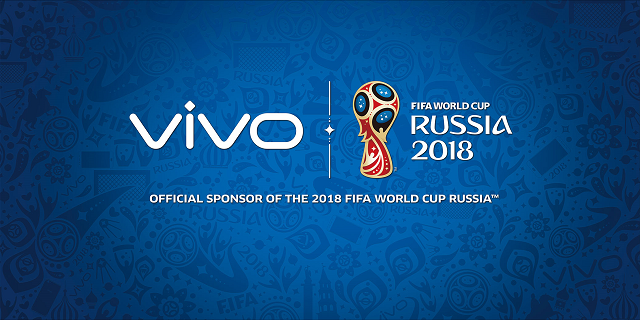 Vivo partners with FIFA for World Cup smartphone sponsorship. Vivo partners with Fédération Internationale de Football Association (FIFA) to be the exclusive smartphone sponsor of the FIFA World Cup for six consecutives years. This means that the smartphone giant will cover two World Cup sponsorships in 2018 and 2022. Likewise, it will also sponsor FIFA Confederations Cup 2017, 2018 FIFA World Cup hosted by Russia, FIFA Confederations Cup 2021, and 2022 FIFA World Cup in Qatar. This six-year partnership with FIFA will given international exposure to Vivo. The brand logo will appear during every match on field advertising boards, event tickets, press release backdrops, and other key promotional areas. FIFA rights include special marketing programs such as the right to invite guests to be Vivo phone photographers during pre-match player warm-ups. Later, Vivo will introduce a customized FIFA World Cup phone to offer a one-of-a-kind experience for Vivo consumers and football fans. Additionally, FIFA staff will use Vivo smart phones on-site and the FIFA Confederations Cup 2017, which will begin on June 17th, marking the start of Vivo and FIFA’s cooperation.